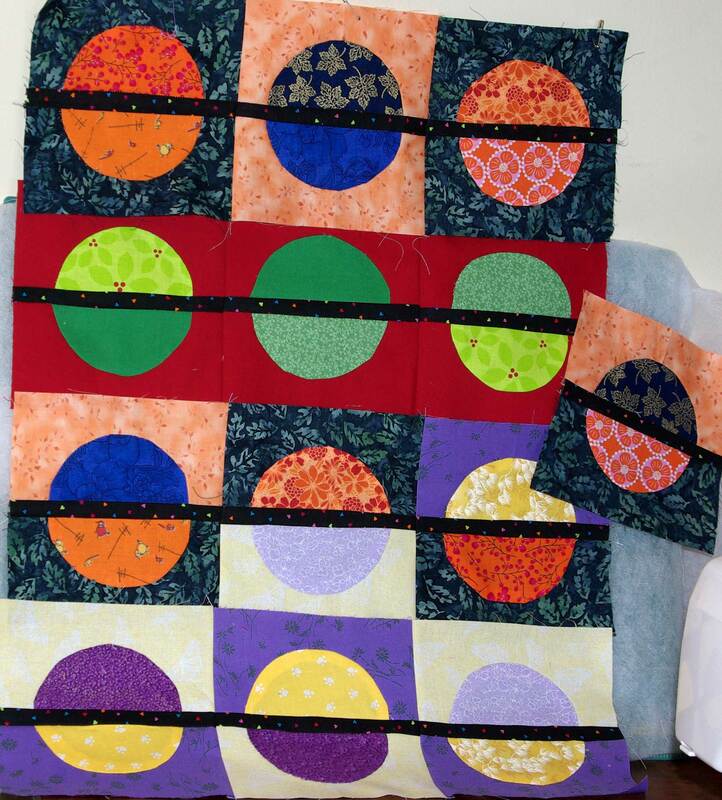 I have my 13 bead blocks made for the Full/Queen sized Mod Mod QAL. I needed 4 strings of 3 beads plus a single bead. I’m using scraps and making blocks in complementary colors. 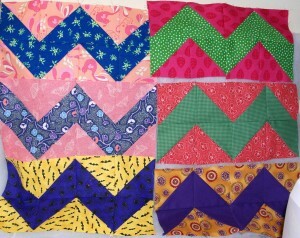 I think this will be one wild quilt! It is so loud it may keep someone awake at night. 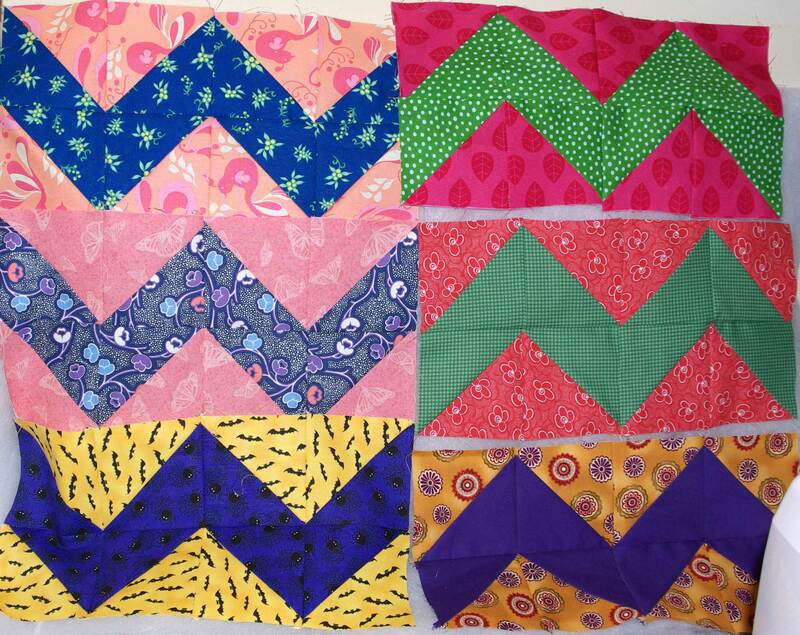 It will definitely be a wild and crazy-colored quilt. I like them! And I agree….looks like a lot of fun!